We continue the drive to be the best in class, for product, for engagement, for development and for leadership. We cannot, and will not, rest on our laurels. As a result, our training strategy goes beyond immediate needs to focus on the future aspirations of the business. Our three Academies are designed to develop our people to the next stage of their careers whilst focusing on business succession, identifying potential individual, and team development opportunities and stretching minds to cover more than just the normal day to day focuses. 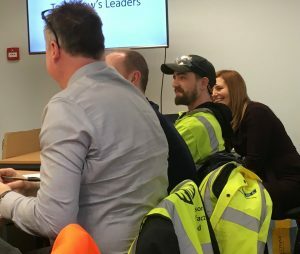 The Apprentice Academy includes different challenges, skills and mindsets for the apprentices working in different departments across the business. The Tomorrow’s Leaders Academy is a monthly forum for the senior leaders of tomorrow selected from across the business. This carries special projects and learning and again involves guest presenters from inside and outside of the business. The Directorship Academy has been developed for those identified as having the potential to become the next leaders of RML. A regular forum investigating different styles of business learning and development as well as special projects involving strategy, innovation and entrepreneurial spirit. All three academies were launched at the beginning of 2018 and are already having an impact on how those involved are thinking about their roles in the business as well as on the attitudes they display to short and long terms challenges presented by working in a high-growth business.